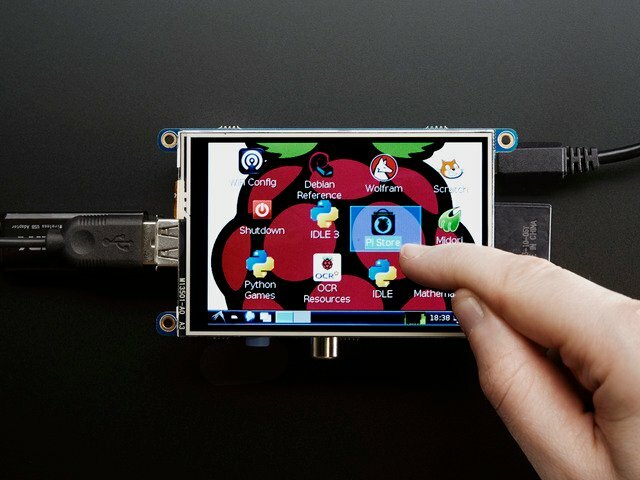 The first step in setting up your Raspbery Pi is to install the latest version of Raspbian on your SD card using NOOBS or by copying the Raspbian image directly to your card. If you need help installing Raspbian, check out our SD card preparation guide for help. 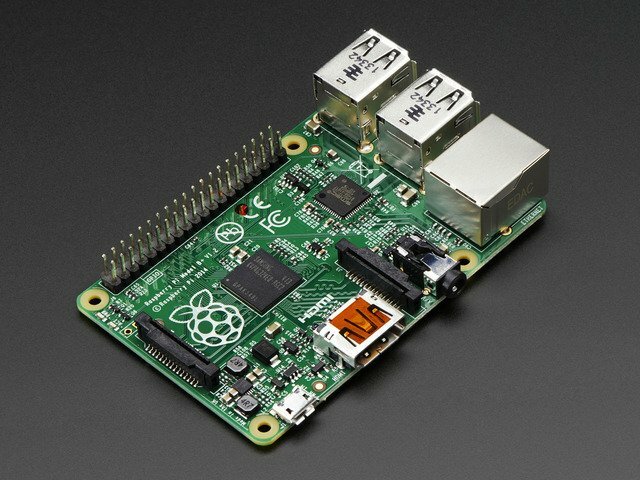 The next step will be to connect your Raspberry Pi to your local network using either an ethernet cable or WiFi. 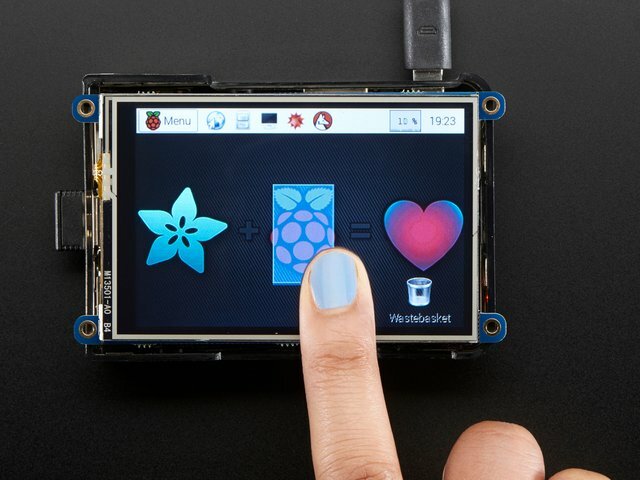 The easiest way to get started is by connecting your Pi via the ethernet port, and using the Adafruit Pi Finder to connect to it. Once your Pi is plugged in to the local network, you can use the Pi Finder to find the IP address of your Pi by clicking Find My Pi! Once the Pi Finder finds the IP Address of your Pi, you can connect to it via SSH using the Terminal button, or by using your favorite SSH client. Once you have connected to your Pi, you will need to expand the filesystem using sudo raspi-config if you haven't done so already. Once you have expanded the filesystem, click Finish and Yes to restart the Pi. Now we are ready to install the latest version of Node.js. See the instructions on our basic Node.js embedded development guide. Next, we will use git to download the latest version of the OSC example repository we will be using for this tutorial. Then cd into the osc-examples directory. Finally, we will need to install the dependencies required to run the example Node.js scripts. You can do this by running npm install. Next, we will be looking at how to set up your computer with Max, Pure Data, or ChucK. To run the examples on your computer, you will need a copy of the latest version of Cycling '74's Max, PureData (Pd-extended), or ChucK. If you are already familiar with one of the three, then the choice will be obvious, but please make sure you are using a recent version. Max is a visual programming environment that enables musicians, visual artists, and researchers to create software without writing lines of code. My favorite of the three choices is Max because it was my first introduction to any type of programming, but Max is commercial software. You can download and use Max free for 30 days if you would like to try it. View the video below for more info about getting started with Max 7. Pure Data (Pd) is an open source visual programming language that is very similar in scope and design to the original version of Max. It runs on Linux, Mac OS X, iOS, Android and Windows, and is available for free download. ChucK is a real-time programming language that is very different from Max and Pure Data, but has a lot of the same capabilities. The biggest difference is that ChucK is not a visual programming language like Max or PureData. ChucK is available for free, and runs on Max OS X, Linux and Windows. The easiest way to run ChucK is by using the miniAudicle IDE available on ChucK's website. ChucK presents a unique time-based, concurrent programming model that's precise and expressive (we call this strongly-timed), dynamic control rates, and the ability to add and modify code on-the-fly. In addition, ChucK supports MIDI, OpenSoundControl, HID device, and multi-channel audio. It's fun and easy to learn, and offers composers, researchers, and performers a powerful programming tool for building and experimenting with complex audio synthesis/analysis programs, and real-time interactive music. There are versions of the examples available for all three environments, and you can download the latest version of the examples by clicking the link below. Now that you have both environments ready, you are ready to test out basic communication. Connect to your Pi via SSH again, and navigate to the osc-examples folder. Now you can start the print example by running node print.js. You should see output that looks like this in the terminal window. Leave this window open while testing with your choice of Max, Pure Data, or ChucK. To test with Max, you will need to open the osc patch inside the max examples folder on your computer. Once opened, click the lock button to enter edit mode, and edit the udpsend box to replace localhost with the IP Address of your Pi. Once you have that completed, click the lock button to exit edit mode and click on the /print/max message box. You should see a message appear in your Raspberry Pi SSH window. If everything is working as expected, you will see output in both the Max window and the Raspberry Pi terminal. The Node.js script will send test messages once every second to Max using OSC. You can see that the test messages include strings, floats, and integers. The oscroute.js helper object is used to route OSC message paths, and the unpack object is used to route the OSC arguments sent. You can use the arguments just like any other data source in in Max. To test with Pure Data, you will need to open the osc patch inside the pd examples folder on your computer. Once opened, enter edit mode by selecting it from the Edit menu. Change the IP Address in the connect object box to match the IP address of your Pi. Once you have changed the IP, exit edit mode and click on the /print/pd message box to test sending and receiving data. If everything is working as expected, you will see output in both the Pd window and the Raspberry Pi terminal. The Node.js script will send test messages once every second to Pure Data using OSC. You can see that the test messages include strings, floats, and integers. The routeOSC object is used to route OSC message paths, and the unpack object is used to route the OSC arguments sent. You can use the arguments just like any other data source in in Pure Data. To test with ChucK, open up the osc.ck script in the miniAudicle IDE. Edit the IP address to match the IP address of your Pi, and click Start Virtual Machine. Click Add Shred to send a test message to your Pi, and to start listening for new OSC messages from the Pi. If everything is working as expected, you will see output in both the miniAudicle console monitor and the Raspberry Pi terminal. The Node.js script will send test messages once every second to ChucK using OSC. The test messages include strings, floats, and integers. You can use the sent data just like any other data source in in ChucK. This guide was first published on Mar 26, 2015. It was last updated on Mar 26, 2015.